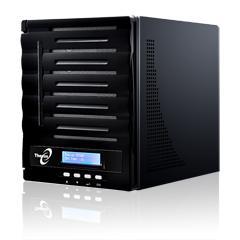 When people are searching for a NAS device, they invariably want something that is not only secure, but also performs well. They want it to be flexible enough to handle any situation, while simple enough to operate without having to have a degree in computer engineering. 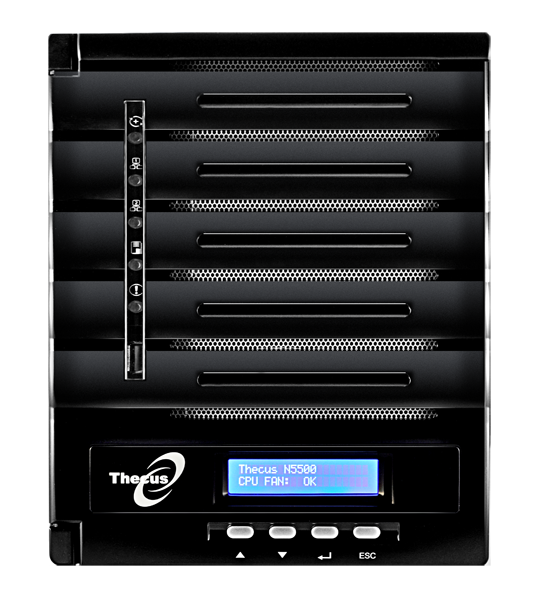 To that end, Thecus® Technology is proud to unveil its most advanced five-bas NAS unit yet – the N5500. 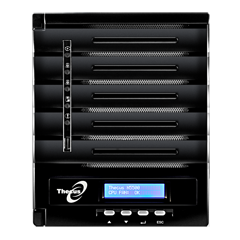 Building off the success of the Thecus® N5200, the N5500 incorporates the latest Thecus® innovations for unrivaled efficiency and data security. First and foremost, the N5500 is engineered to store your data and keep it safe. 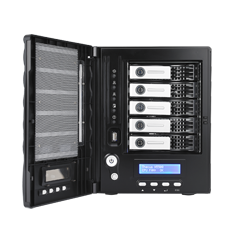 The N5500 is equipped with five hot-swappable SATA 3.5” hard disk bays for a whopping 10TB of total storage capacity. 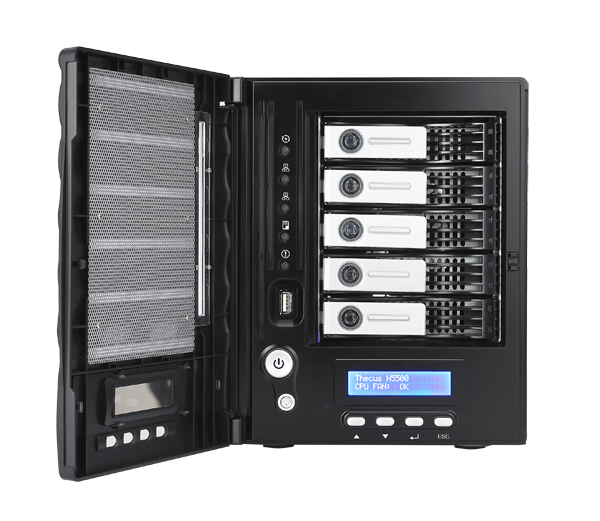 To protect this data, the N5500 lets you choose from a wide selection of RAID modes, including RAID 0, 1, 5, 6, and JBOD. 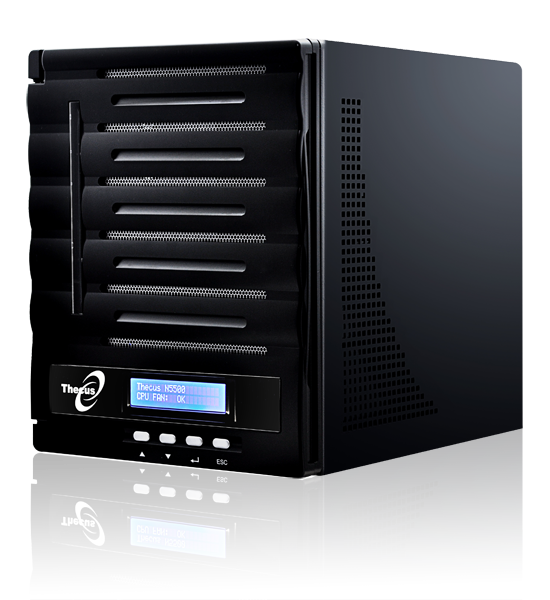 The N5500 also supports multiple RAID volumes, enabling you to choose the right combination of RAID volumes for your network, and if you ever change your mind, the N5500 also features online RAID expansion, online RAID migration, and auto rebuild for maximum flexibility. In fact, the N5500 is the only storage solution on the market that can be configured as a NAS, a DAS, or an iSCSI device! 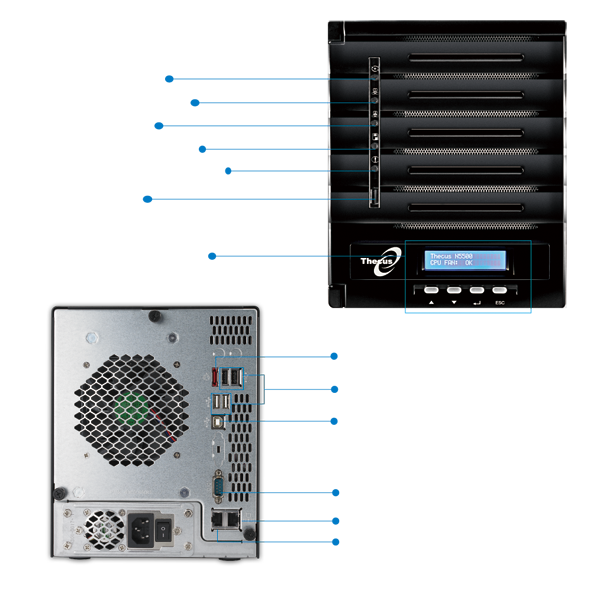 A powerful Intel® CPU and dual Gigabit Ethernet ports with load balancing, failover, and link aggregation with 802.3ad, the N5500 lets you access your data quickly and reliably. 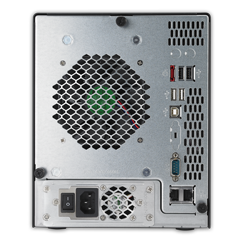 For home users, the N5500 also has you covered with robust multimedia support, including an iTunes server, photo web server, and a media server which supports uPnP, making it the perfect central hub for all of your digital content. Debuting on the N5500 is Thecus' new and AJAX-based web interface, which is more intuitive and easier to use than every before. 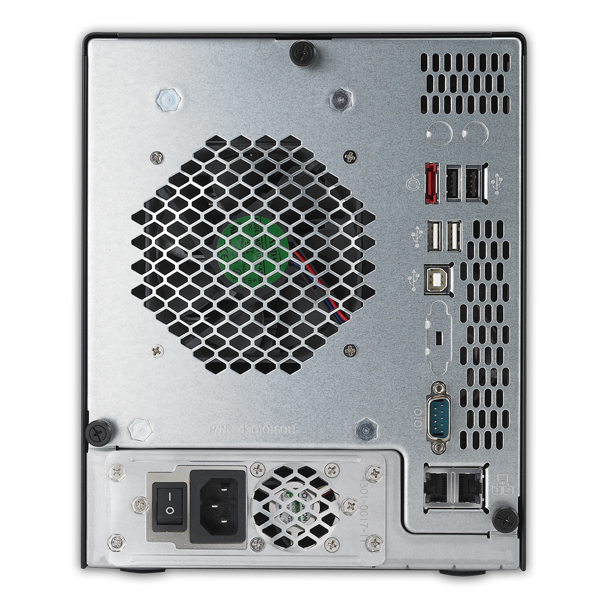 The N5500 is also fully compatible with Windows, UNIX/Linux, and MAC OS 9/X operating systems, and a scheduled power on/off function means less wasted power and lower total cost of ownership. And with IP cam support, the N5500 can even be configured as a surveillance system for ultimate peace of mind.